Halloween is a big deal these days. There’s the endless aisles of costumes cluttering the supermarkets, the pesky trick or treaters and of course the pumpkin carving. You’ll be hard pressed to avoid some form of scary shenanigans this weekend. This seemingly innocent yellow ‘70s Oldsmobile was originally driven by protagonist Ash to the creepy haunted cabin in Sam Raimi’s iconic Evil Dead film. However, it appeared in all the Evil Dead films and even gets converted to a Deadite-destroying death machine in Army of Darkness. 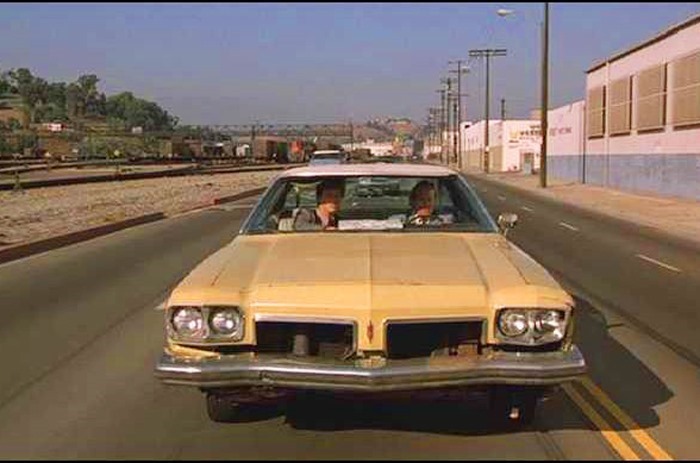 It soon became Raimi’s trademark to include this car in his films wherever and however possible. It’s the year 2000. The United States has collapsed both monetarily and morally. It is now led by a maniacal dictator whose annual highlight takes the form of a transcontinental motor race from hell. A bit of a hard-going film to watch then? Fear not! Being a creation of the late ‘70s does mean the cars are as humorous as they are menacing. The most memorable machine is without doubt that driven by David Carradine’s much-feared Frankenstein, a seemingly unstoppable opponent in the gladiator-style race. No spoilers, we’ll just say there’s plenty of carnage, crashes and corpses along the way. 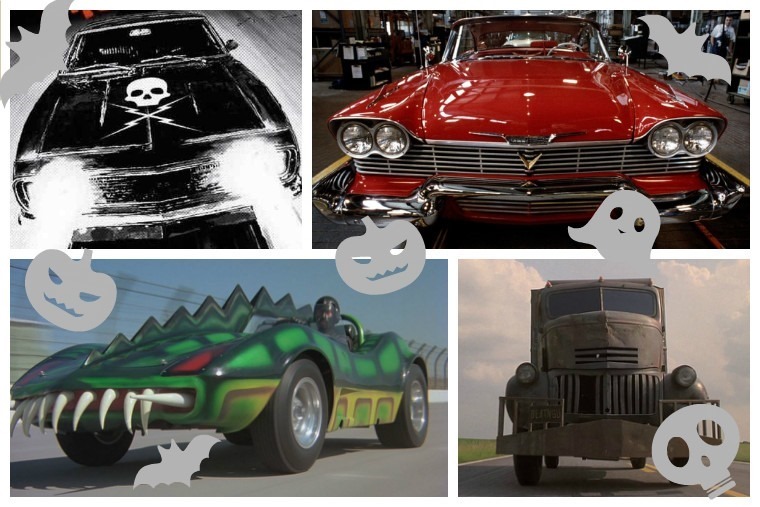 Half horror movie, half muscle car homage? Of course, it’s a Tarantino movie! 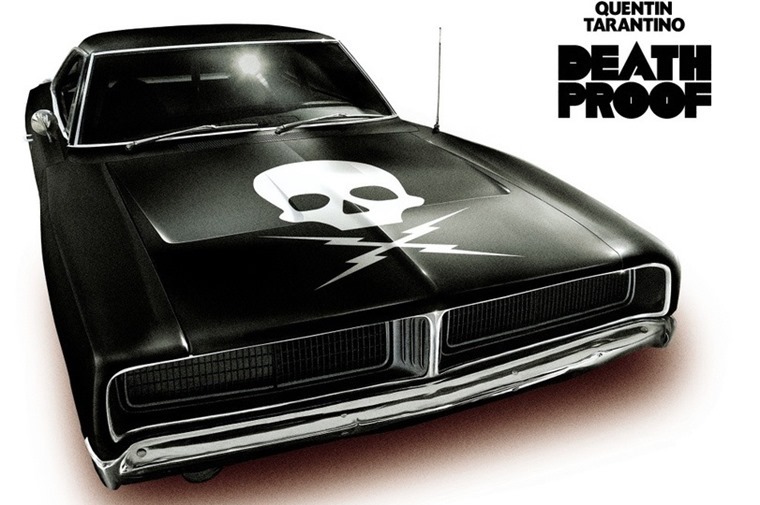 Death Proof follows a shady ex-stuntman who thinks his modified, 1969 Dodge Charger is – you guessed it – death proof. Problem is, that only applies to the person in the driver’s seat. 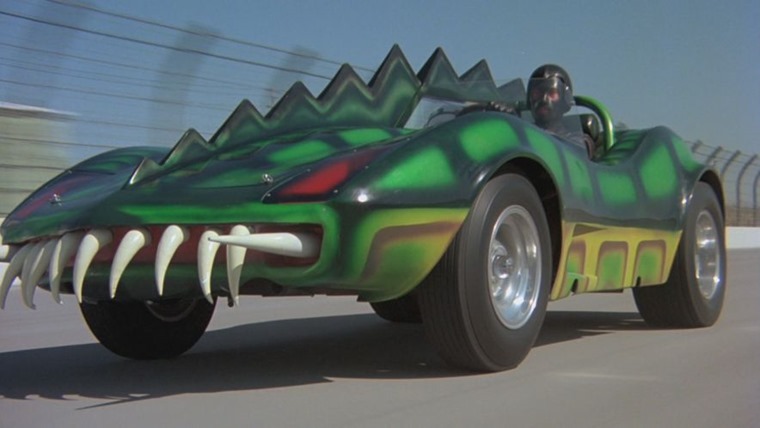 The film is clearly inspired by the muscle car movies of the 70s (think Vanishing Point, Dukes of Hazzard), and with its skull and crossbones mural and matt black paintjob, can a car really look more menacing than this one? Well, the answer to the above question can be easily answered by this WW2-era Chevrolet COE – yes! One of the first vans to feature a modern “cabin over engine” layout, these useful load-luggers mobilised America again after the war. 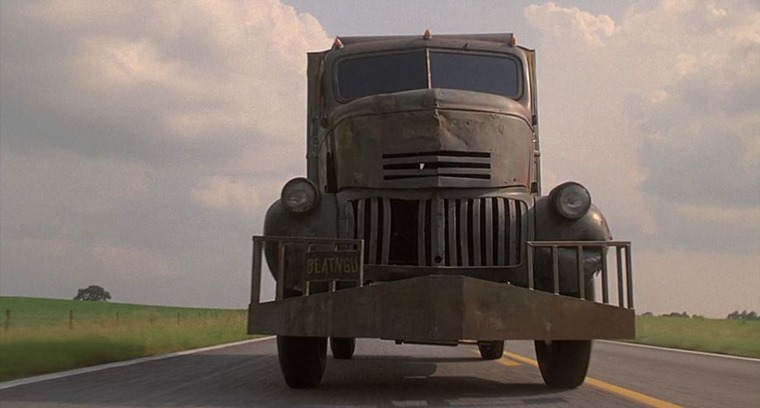 Add fifty years of rust, a cow catcher and of course the obligatory cannibalistic creature behind the wheel, and it’s ready for the very scariest of horror films. Don’t worry though; you’re not likely to encounter one on the road and, even if you do, it’s highly unlikely it’ll be driven by a demon. 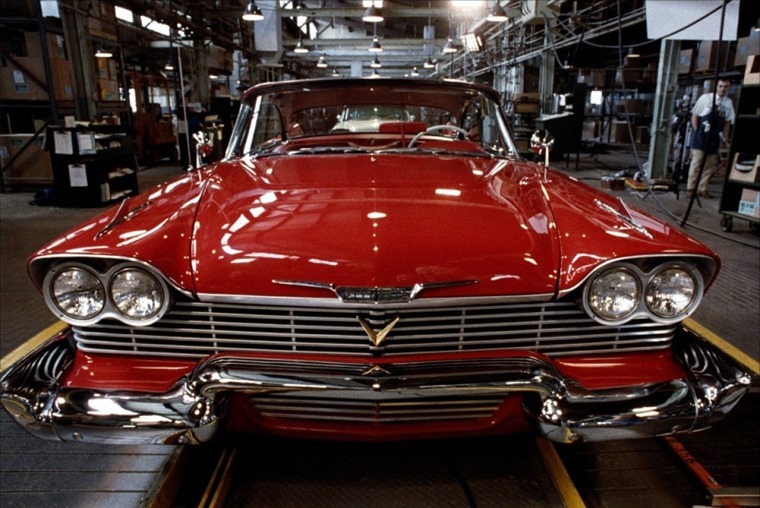 Based on a novel by horror writer extraordinaire Stephen King, ‘Christine’ is lovingly restored by its teenage owner Arnie, but it isn’t long until his pride and joy turns on the entire town. Taking the vengeance out on anyone and everything, how long will it be until it turns on its own owner?